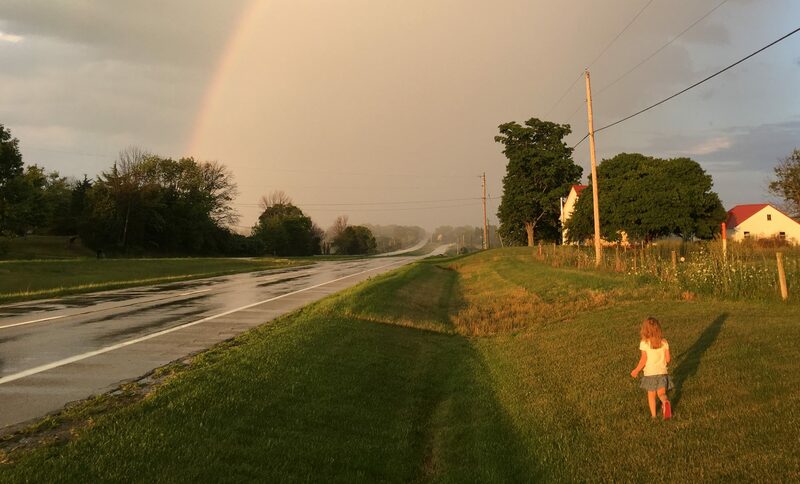 Well, a drainage ditch anyway. If you’ve talked to me about the house at all, then you’ve most definitely heard about the drainage issues, or rather, the complete lack of basic drainage. See the Get Off My Lawn! series. The former owner, in her battle against a flooding basement, paid to have it trenched and a sump installed. 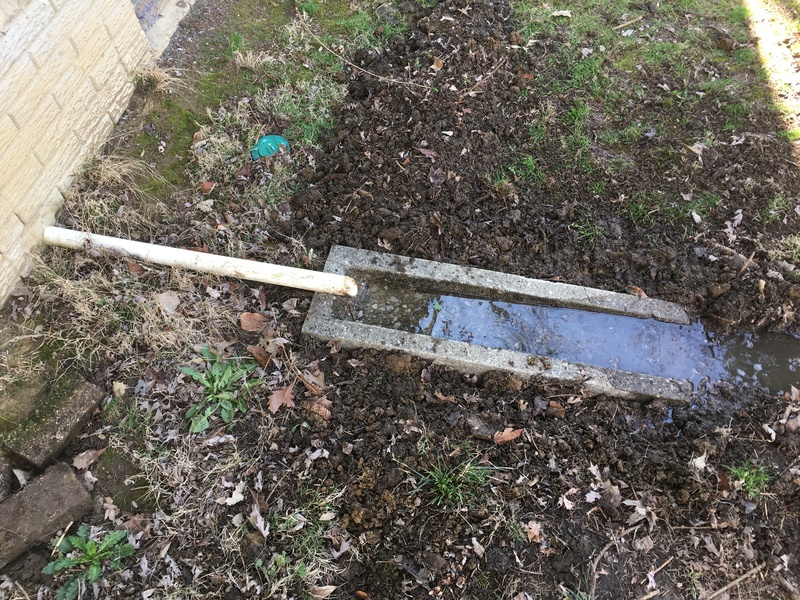 After purchasing the house, I’ve since extended downspout drainage, and the sump has remained dry ever since. Someone had retrofitted a vacuum hose to the outlet. Again, effective, but incredibly ugly. And then the kid played with it and cracked it, rendering it useless anyway. Now, with water pooling against the foundation, my hand was forced. It was time to finally address this eyesore. This is the ENE side of the house, under a pine tree. These factors limit my planting options, but it does make a good candidate for a shade garden. First though, I needed to trench. 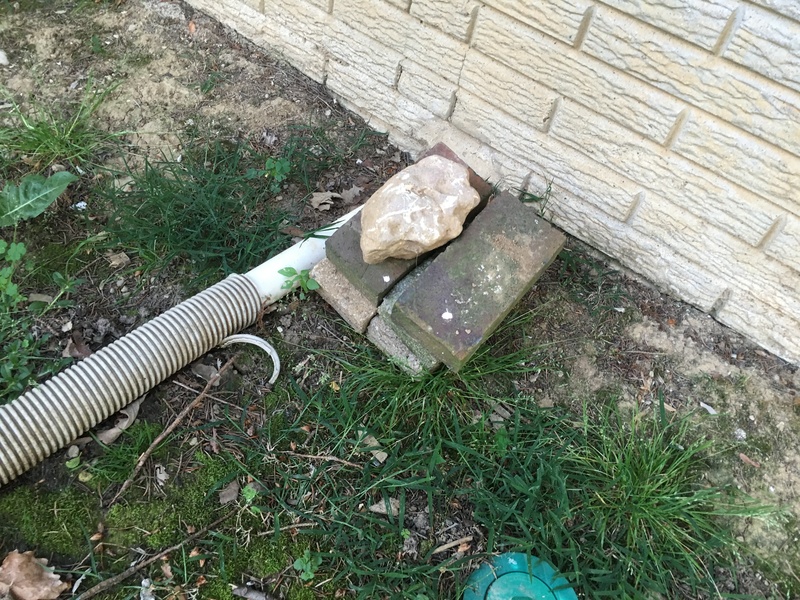 Re-purposing a concrete downspout extender, I could immediately channel the water about 4 feet. 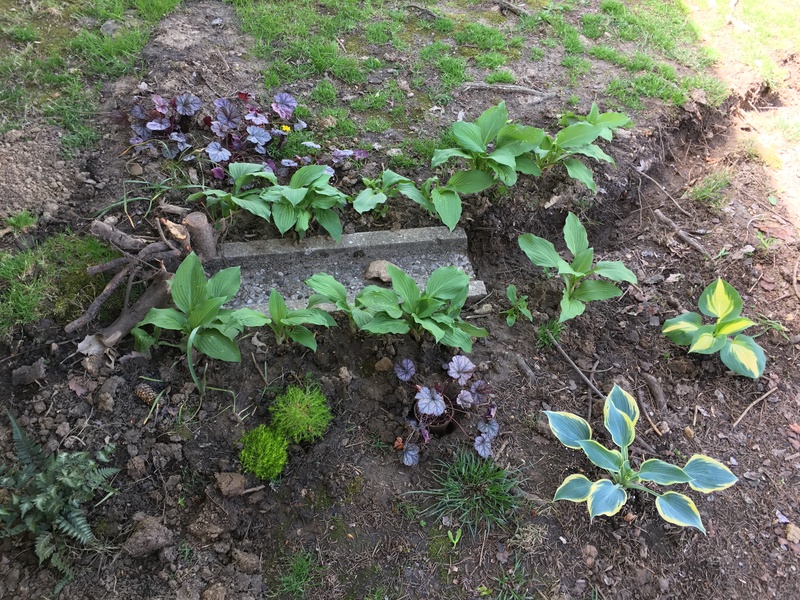 I now have the beginnings of a respectable shade garden, and effective sump drainage. Plus, the mason bees really like it. I like those bees, they’re cute.